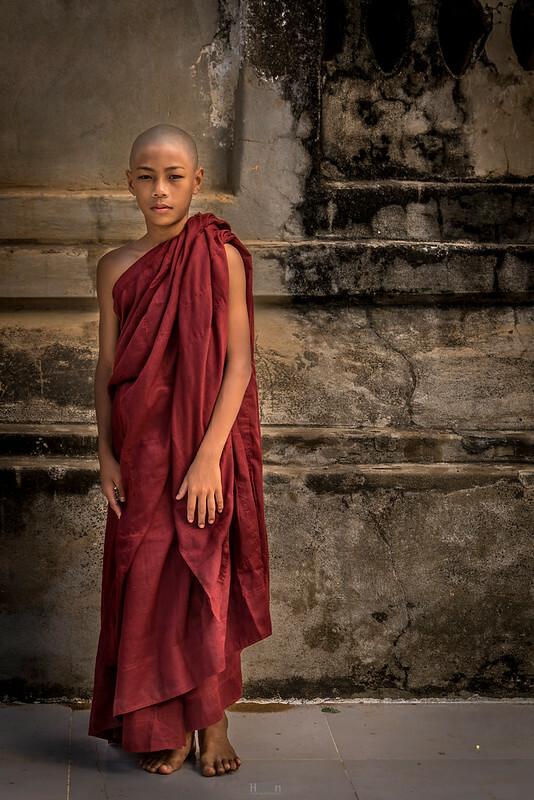 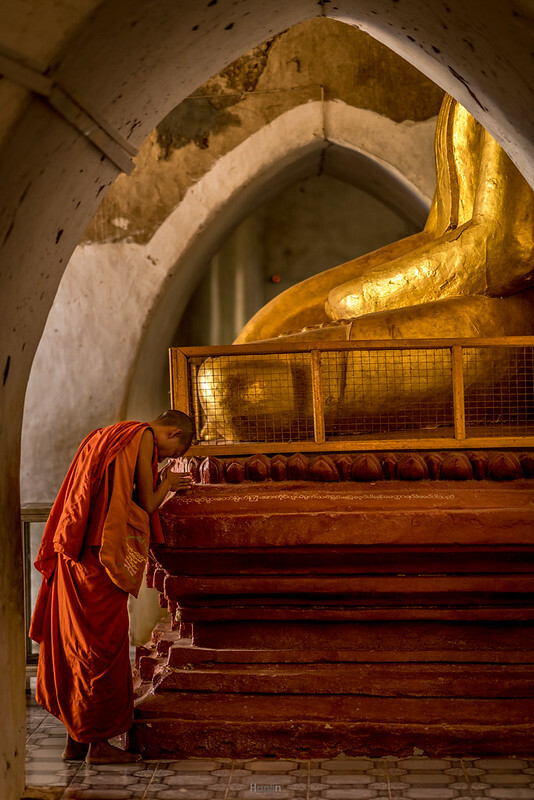 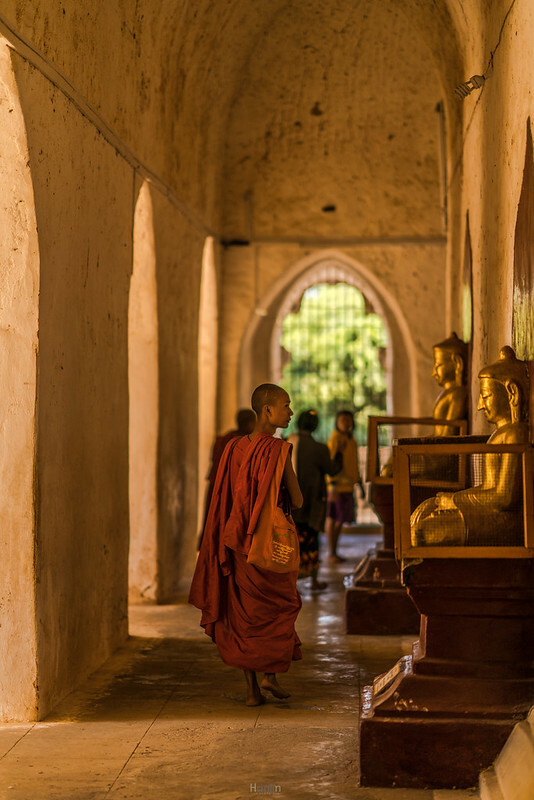 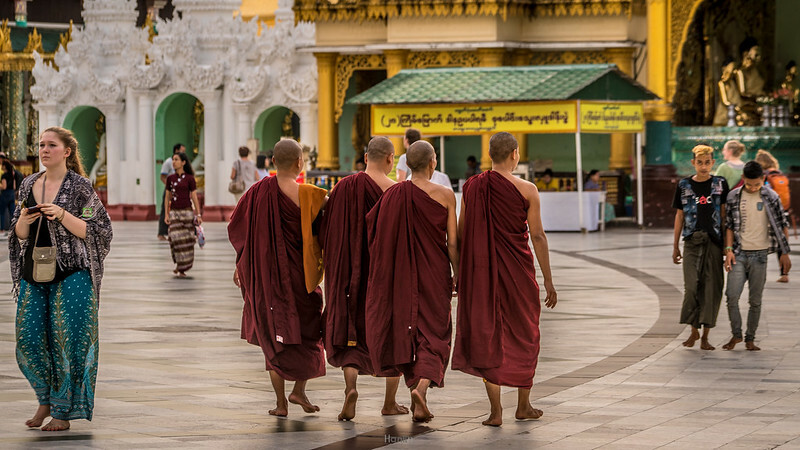 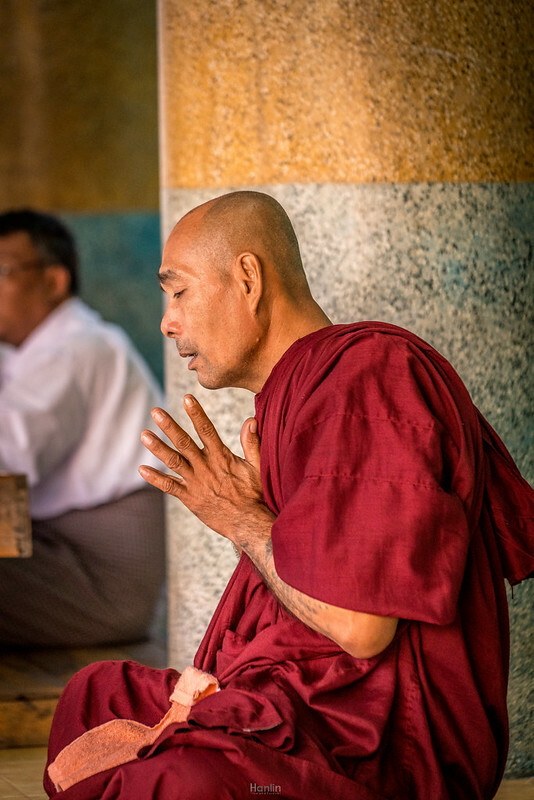 Buddhism in Myanmar is predominantly of the Theravada tradition, almost 90% of the population practicing Buddhism and Myanmar also is the most religious country in the world. 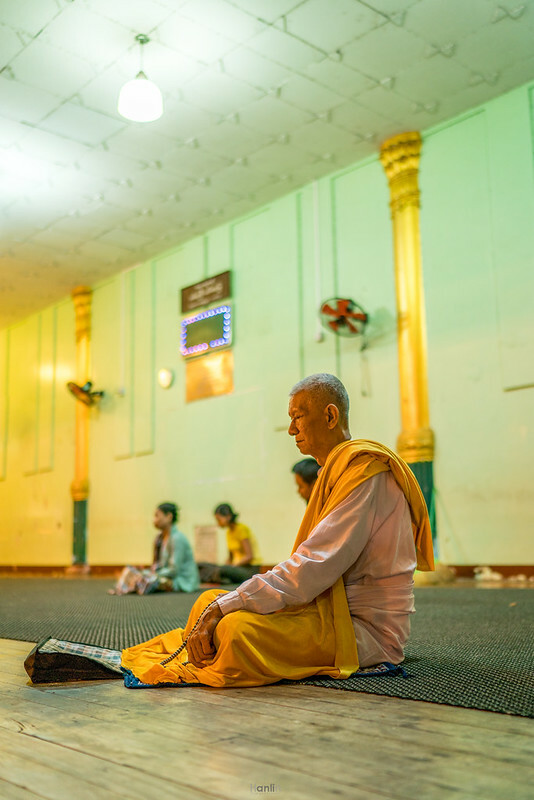 Theravada Buddhism is strongest in Sri Lanka, Cambodia, Thailand, Laos and Burma (Myanmar). 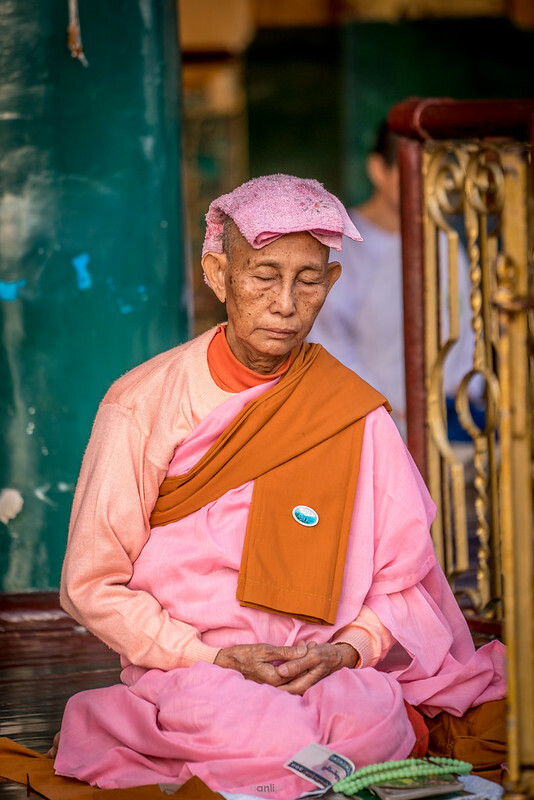 The basis of all forms of Buddhism is to use meditation for awakening and concentration are vital elements of the way to enlightenment. 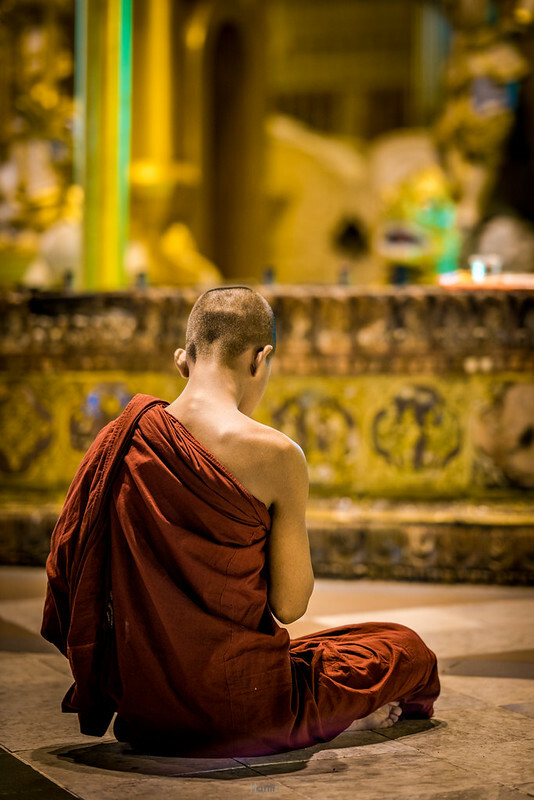 The follower is expected to “abstain from all kinds of evil, to accumulate all that is good and to purify their mind”. 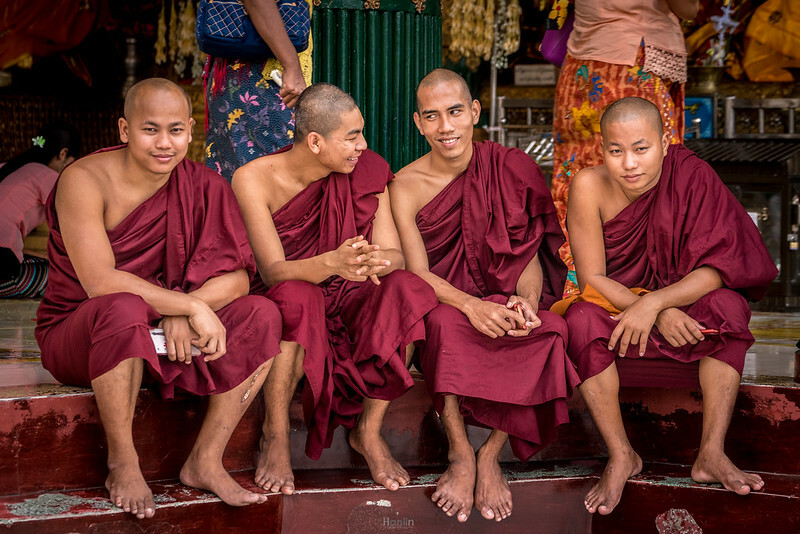 Of particular interest is the fact that Theravadan monks and nuns are not permitted to eat after midday or handle money. 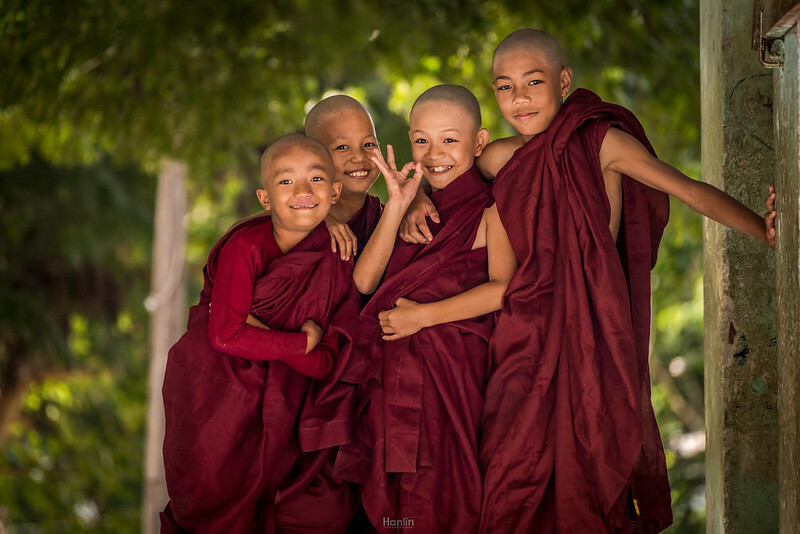 Young novices are allowed to play football, watching TV, playing video games and having fun, which is great to see, because all in all they are just normal kids. 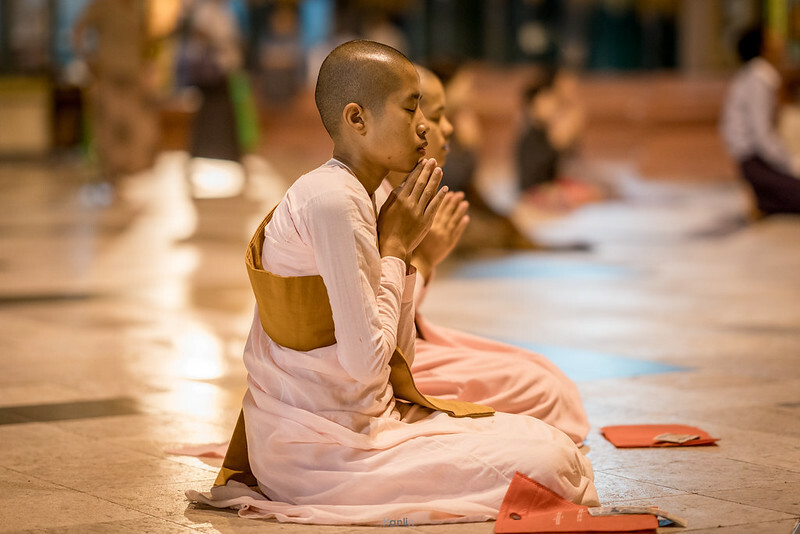 On the other hand, the life of the monks can be very tough: sleeping in a dormitory, waking up very early, washing with cold water, studying a lot and always strict discipline. 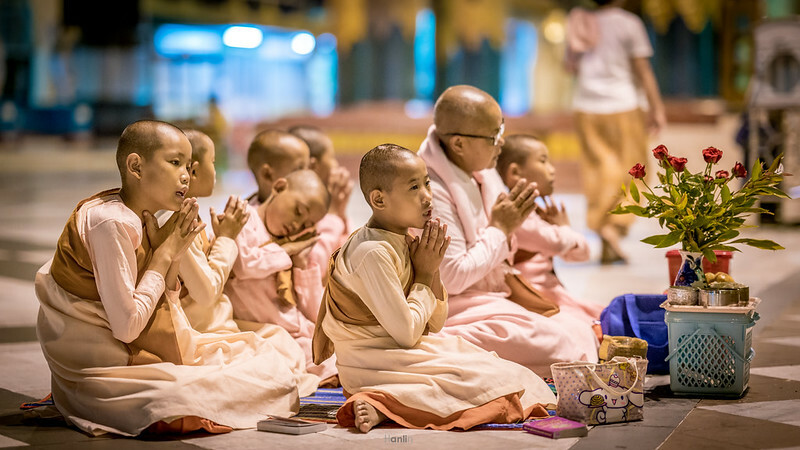 Many of the children who train to be monks come from poor families who see this way of life as a way to get their kids out of poverty. 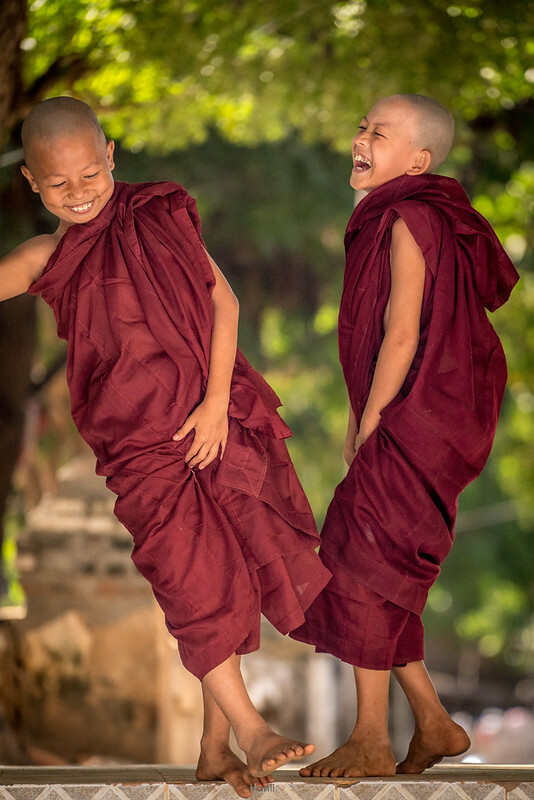 Free education, as they can learn mathematic and english and also can have a proper meal. 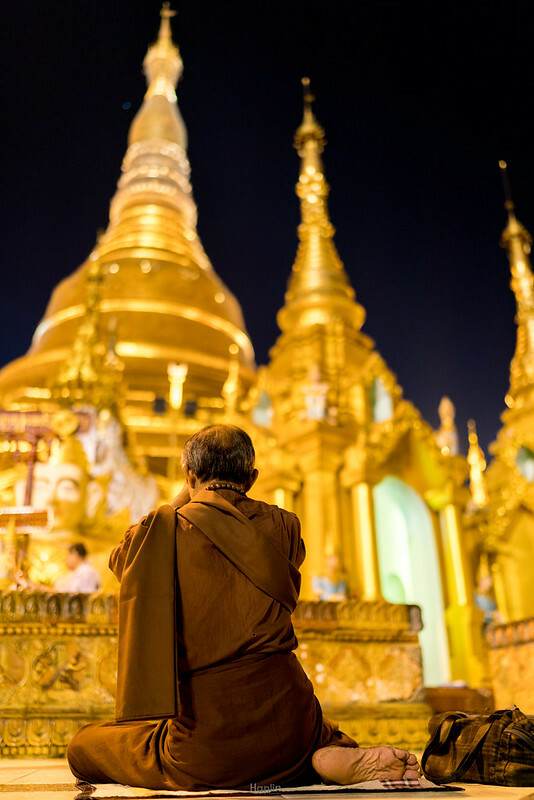 Prayers and meditation 4am at Shwedagon. 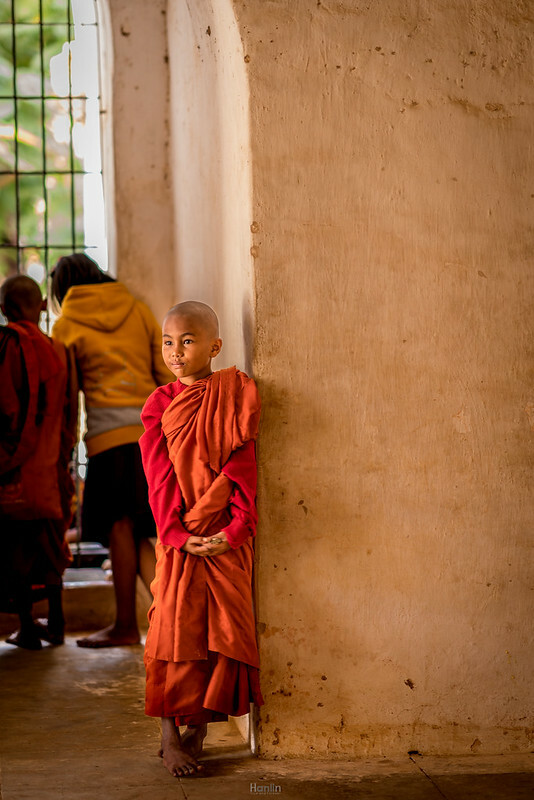 A novice is called a samanera and a full monk is called a bikkhu.